The Pineapple-Butyric Pop-Up is top notch. Pineapple flavour and N-Butyric-Acid are made for each other. 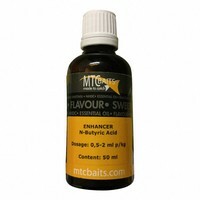 The pungent smell of N-Butyric-Acid is completely gone and strengthens the pineapple flavour. This classic combination guarantees instant success.